If you've been at this photography thing for a while and you're considering an upgrade to a semi-professional camera, there's certainly plenty of choices out there. 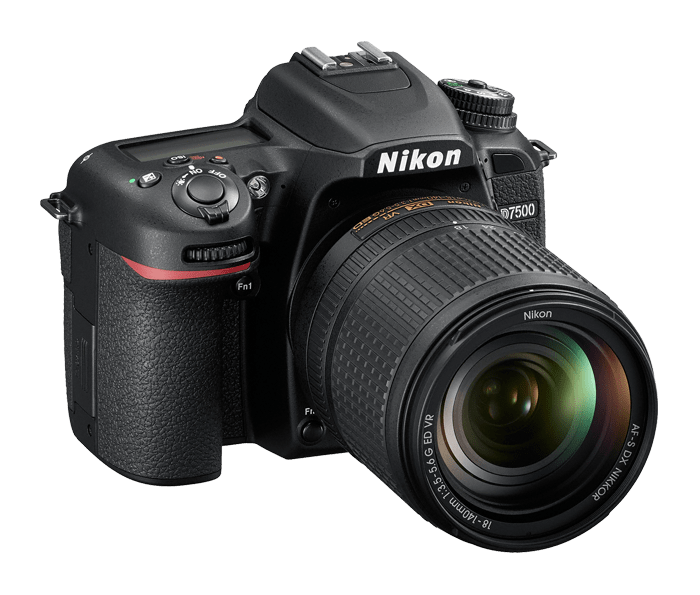 For those of you that shoot with Nikon (and for those of you that might want to switch from another manufacturer), there's two mid-range cameras you might consider as your next camera body: the Nikon D7500 or the Nikon D750. Naturally, both being Nikons, they have some shared benefits and some shared detriments as well. Likewise, there are some similarities between the two that might make it tough to make a decision. 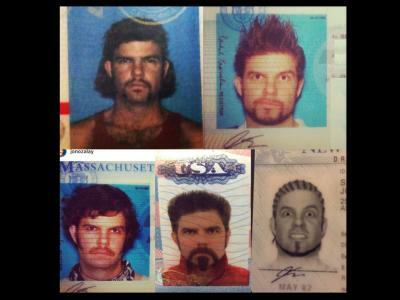 There are also some glaring differences. Let's take a closer look at these cameras to help you decide which one might be best for you. As you can see in the brief specifications above, both the D7500 and the D750 share many commonalities. Both are weather-sealed, so you can shoot in adverse conditions without worry of what'll happen to your camera. Both also have top LCD panels for quickly viewing and setting your camera settings, as seen on the D7500 above. 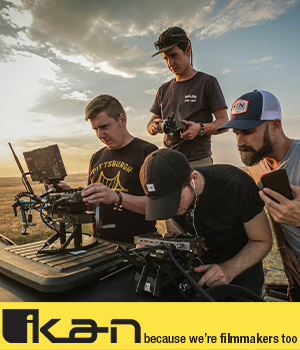 Other commonalities include a microphone port and a headphone port for videography, time lapse recording, AE bracketing for overcoming difficult lighting situations, and a shutter life of around 150,000 cycles. There are other common features, but with enough of a difference between the models to warrant mention. For example, both are Wi-Fi enabled for easier sharing of photos and videos, though the D7500 also features Bluetooth connectivity and smartphone remote capabilities. With the market heading more and more toward smart cameras, the D7500 is the winner on this front. Both cameras also have a 3.2-inch tilting LCD for easier viewing, but the D7500 has a touch screen LCD that offers more flexibility and pinpoint control. 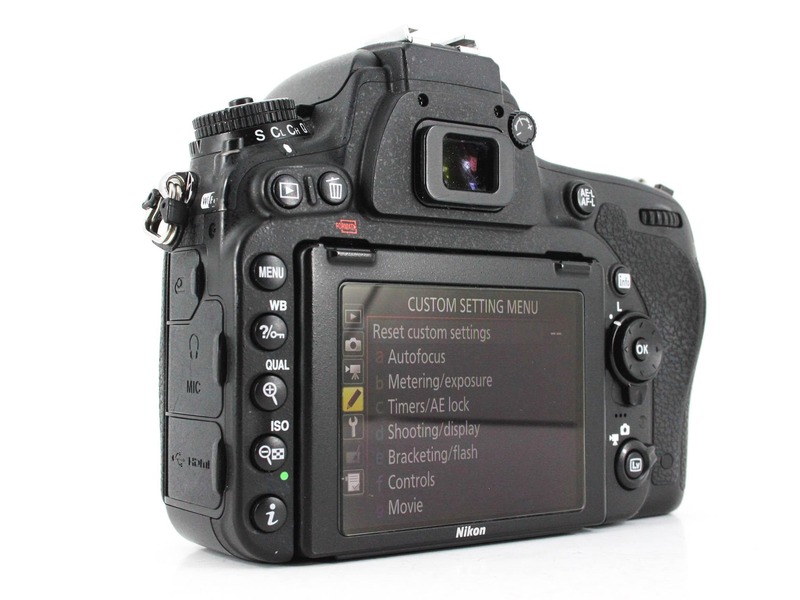 However, the D750's LCD (shown above) is higher resolution with about 33 percent more dots than the D7500. Which camera wins this battle depends on what you're looking for. 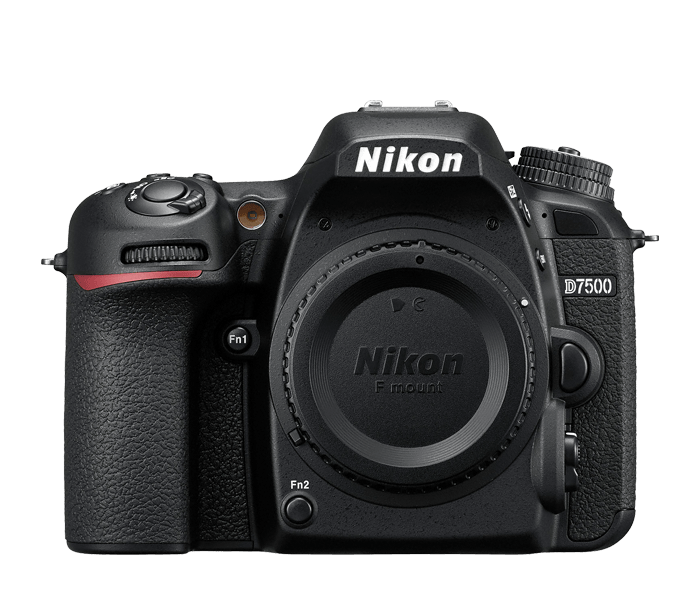 If you want a modern touch screen that enables you to navigate the autofocus system and menu system with greater ease, the D7500 is a better choice. However, if the screen resolution is what you're after, clearly the D750 is the one to beat. 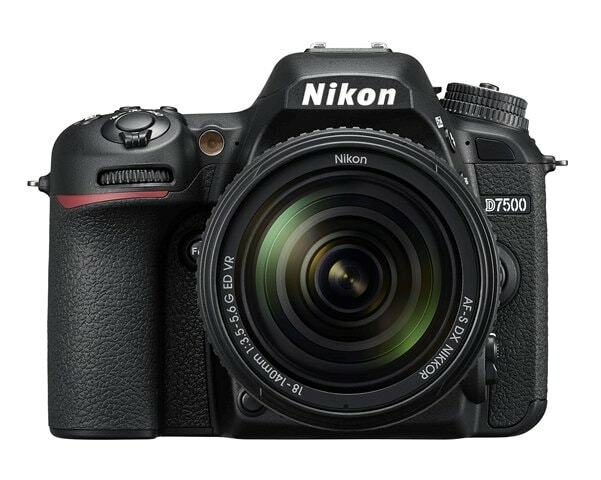 The D7500 has a maximum continuous shooting rate of 8fps to the D750's 6.5fps. Though neither one is especially fast, if action shots are what you're after, that extra 1.5fps could make a significant difference. 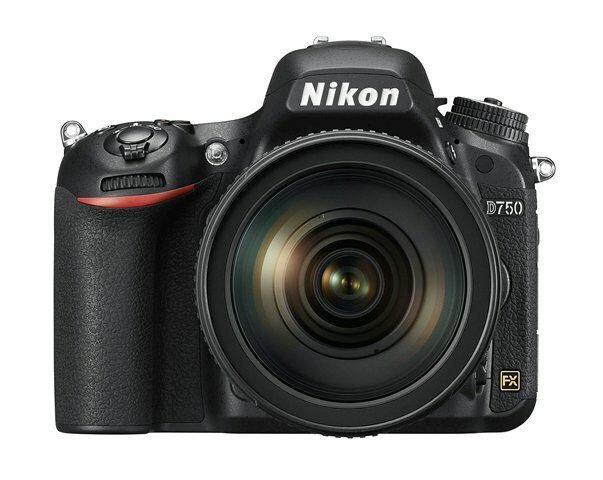 For starters, the D750 is a full frame camera with a 24-megapixel sensor. That means you get improved resolution and better coverage than you do with the D7500's 21-megapixel APS-C sensor. That 14 percent difference in resolution might not sound like much, but if you're in the market to start selling prints, the D750 is the way to go. The D750's full frame sensor has another advantage too: better depth of field. Since the size of the camera sensor is one factor in determining depth of field, the D750 gives you more control over how that bokeh looks. If you're planning on taking a lot of portraits, that might be something to consider. Furthermore, the D750 has a much beefier battery that allows for up to 1,230 shots on a single charge. The D7500 can only muster 950 shots. 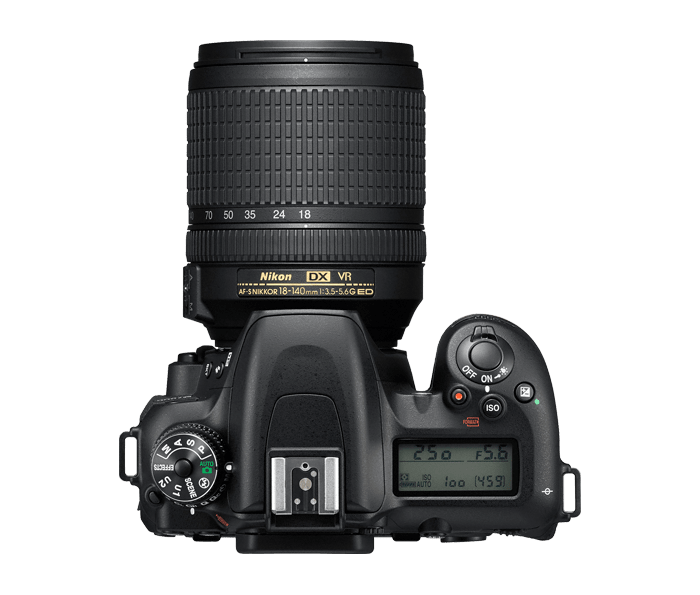 Those two features alone might be enough for photographers with designs on entering the professional market to choose the D750. The D7500 shouldn't be discounted just yet, though. With a maximum ISO of 164000, the D7500 outpaces the ISO performance of the D750 by more than 3,100 percent. Likewise, the D7500 has a maximum shutter speed of 1/8000 seconds, double that of the D750. Needless to say, those are features that will interest photographers that shoot indoor and outdoor sporting events, wildlife, and other fast-paced subject matter. Also of interest to photographers that shoot fast subjects is the processing speed of the cameras. 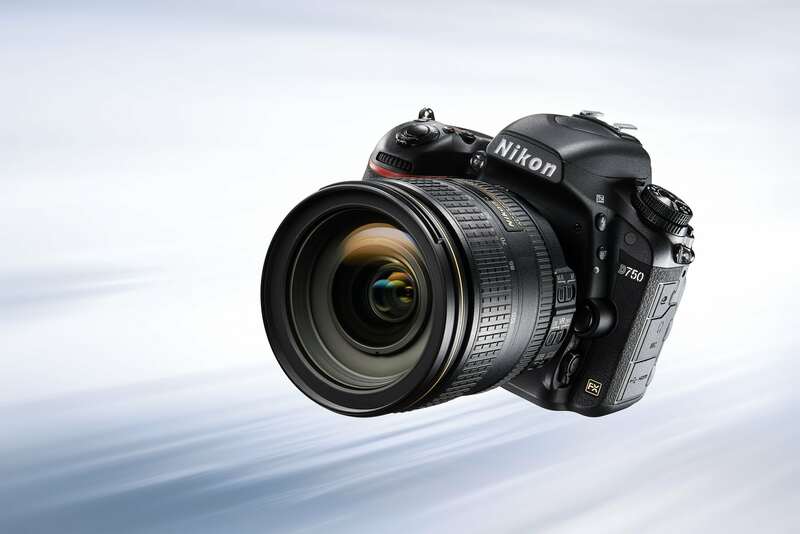 The D750 sports an Expeed 4 processor while the D7500 has an upgraded Expeed 5 processor. Again, if speed is what you need, the D7500 is the winner. Weight is another factor that many photographers consider to be important, and on that measure, the D7500 wins. 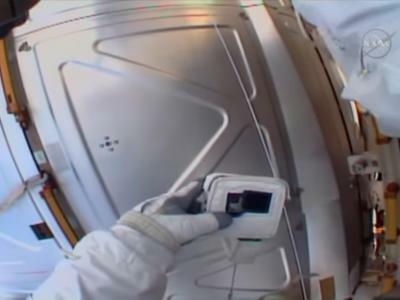 As an APS-C camera, the body is smaller, making it 640 grams. 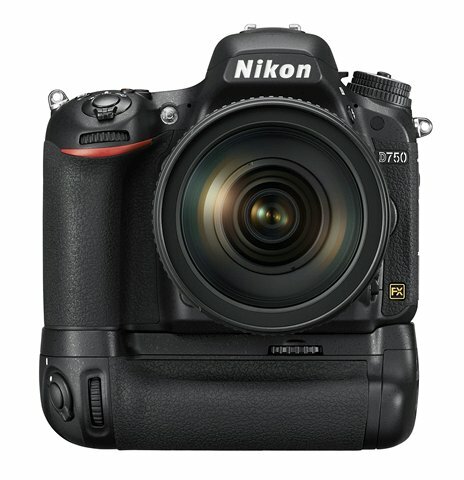 The D750 weighs a full 200 grams more. The D7500 is also smaller, with a body that's 5mm narrower, 5mm thinner, and 9mm shorter than the D750. 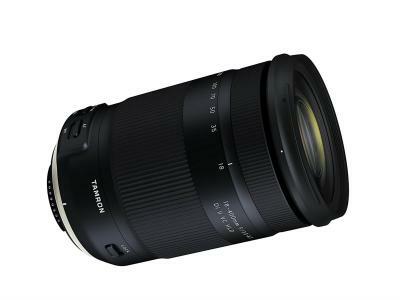 It's also important to take into consideration the size and weight of the lenses one is likely to use with these cameras. APS-C cameras tend to have lenses that are smaller and lighter, further making the D7500 the better choice if weight is a concern. On the flip side, the higher-end D750 has higher-end glass available, so for a little more weight (and more money), you can get better lenses that produce sharper results. The Verdict: Which is Best For You? Though there are plenty of major differences between these two cameras, both offer a lot of photographing power to people of various skill levels and interests. If you enjoy portraits, both cameras are well-suited to that pursuit, though the D750 wins on the depth of field front and in terms of the resolution the sensor offers for creating large prints. If you're into something more mobile, like street photography, the D7500 is a better choice simply because of it's smaller form factor and lighter weight. Sports and wildlife photographers have something to appreciate about both cameras.On the one hand, the D7500 offers faster processing, better ISO range, faster continuous shooting, and double the maximum shutter speed. On the other hand, the D750 is no slouch, and though it's outperformed by the D7500, the full frame sensor, improved lens selection, and better battery life cannot be overlooked. On the one hand, the D7500 offers faster processing, better ISO range, faster continuous shooting, and double the maximum shutter speed. On the other hand, the D750 is no slouch, and though it's outperformed by the D7500, the full frame sensor, improved lens selection, and better battery life cannot be overlooked. The crop sensor D7500 gives you more effective focal length out of your lenses, which can be advantageous when you wish to get more intimate shots of landscapes. 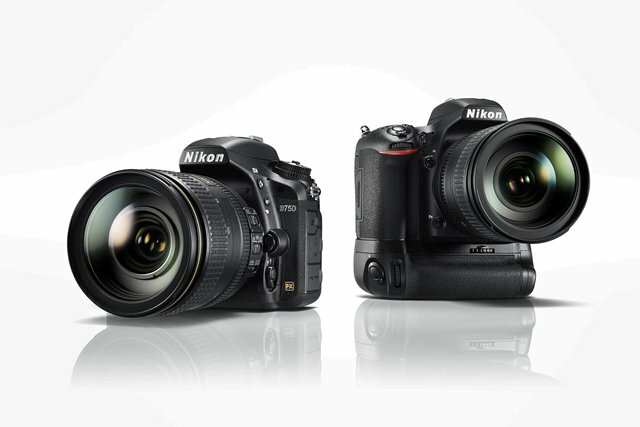 Likewise, the 200-gram difference in weight means you can carry the D7500 for longer periods of time with less fatigue. At the same time, the D750's larger sensor makes creating large prints more likely, and for shooters that like a bulkier body for a feeling that you've got a solid grip, the D750 (shown above) is a good choice. The weather sealing is a crucial feature as well, though the D7500 has weather sealing too. When it comes down to it, though, the price is likely going to be the overriding factor when choosing between these cameras. 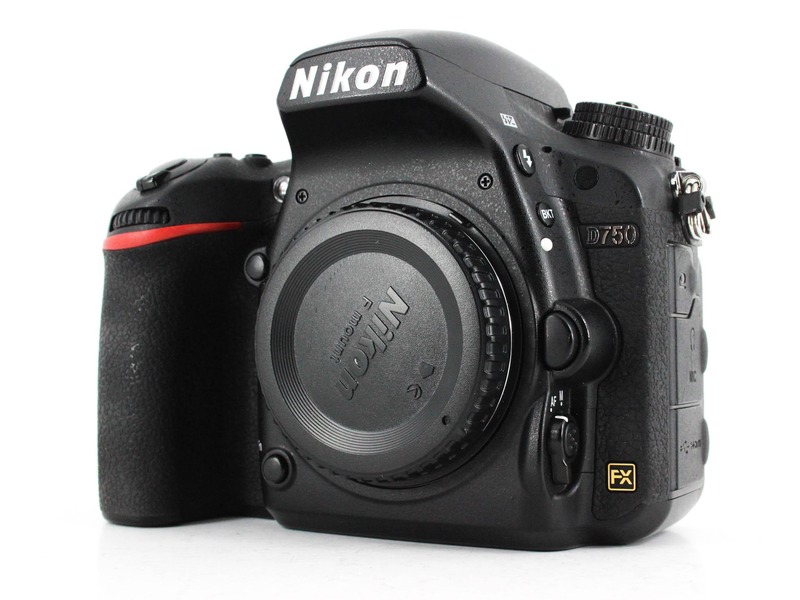 Brand new, the Nikon D7500 body is about $1,250 and the Nikon D750 is around $1,900. 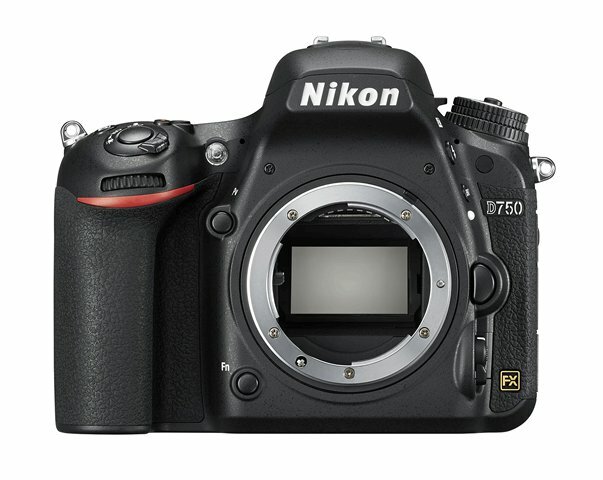 However, since the D750 is a couple of years old, you can find great deals on quality used bodies. In fact, you can find them for well under $1,400, making it an attractive and affordable choice if you want to get into the full frame market without paying new prices. No matter which of these cameras makes it into your camera bag, there's plenty to like with lots of features that will make getting those fantastic shots you dream of an easier process.